We have great autumn colours in Niagara. This was a little farther north, in Guelph. 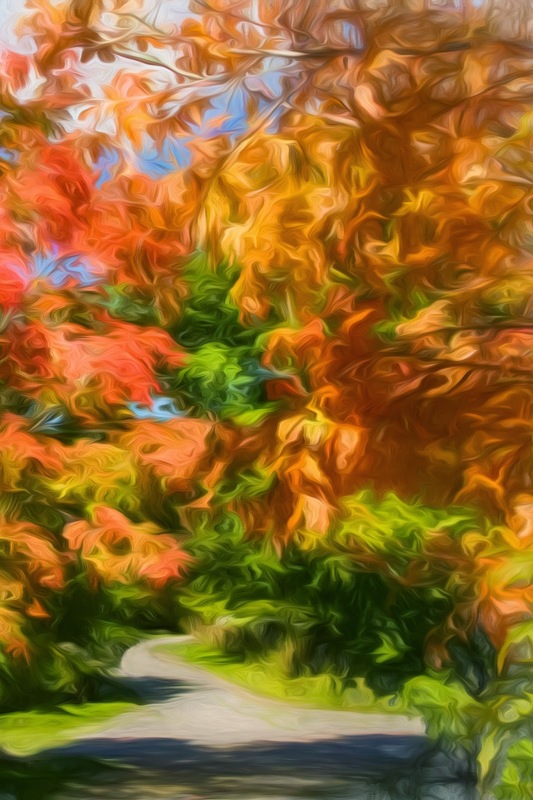 I have the newly released Topaz Impressions and this image has a painterly effect from the software.